Carolyn Porter | Page 64: Victory at last! See a photo of the moment described on page 64 of "Marcel's Letters." Not long ago I was searching through old digital photos looking for something entirely unrelated to the book when I came across photos from the January 2012 trip Aaron, Hoover and I took to Gunflint Lodge in far northern Northern Minnesota. The trip is recounted on pages 63–68 of Marcel’s Letters; this specific moment is described on page 64. 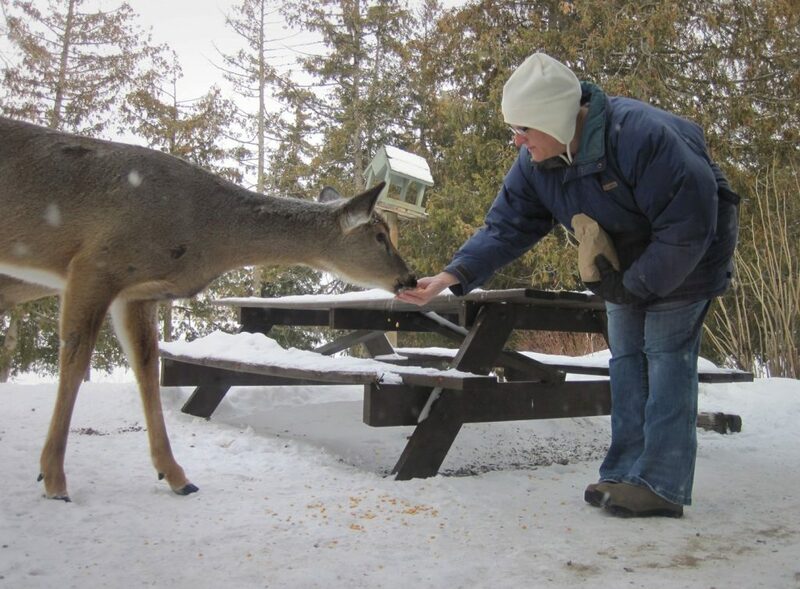 I thought it would be fun to share the image Aaron snapped of the doe finally eating corn out of my hand. Victory at last!